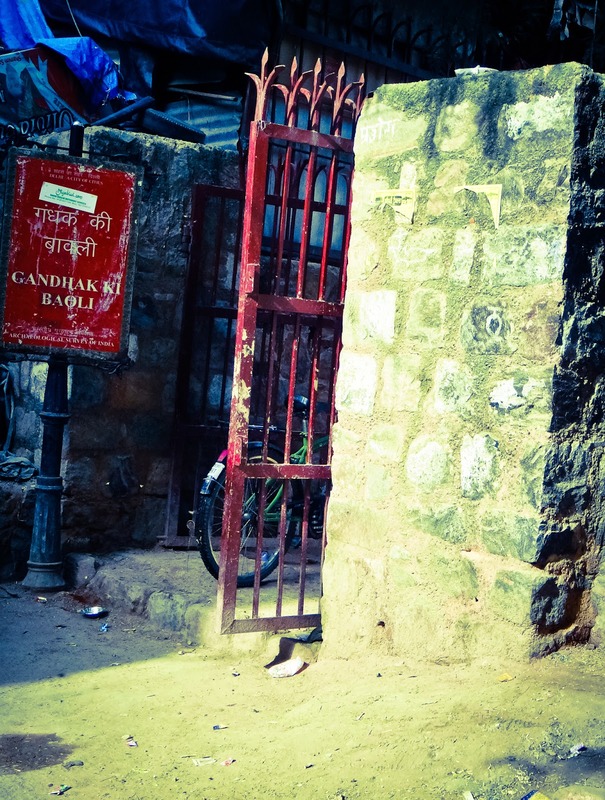 It looks like an unassuming gate, doesn't it? The last time I was here, it was quiet. This time, I could hear the shouts and laughter from the street before we even stepped inside. 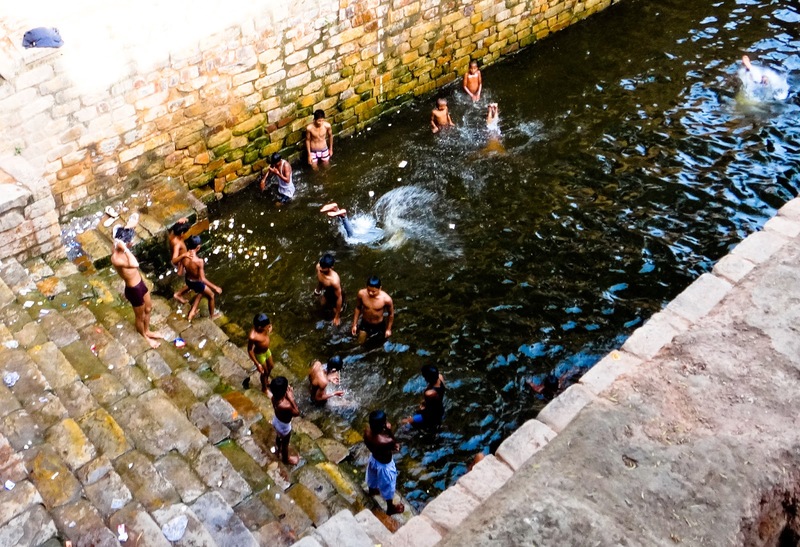 Gandhak ki baoli is the neighborhood swimming pool. How cool is that? 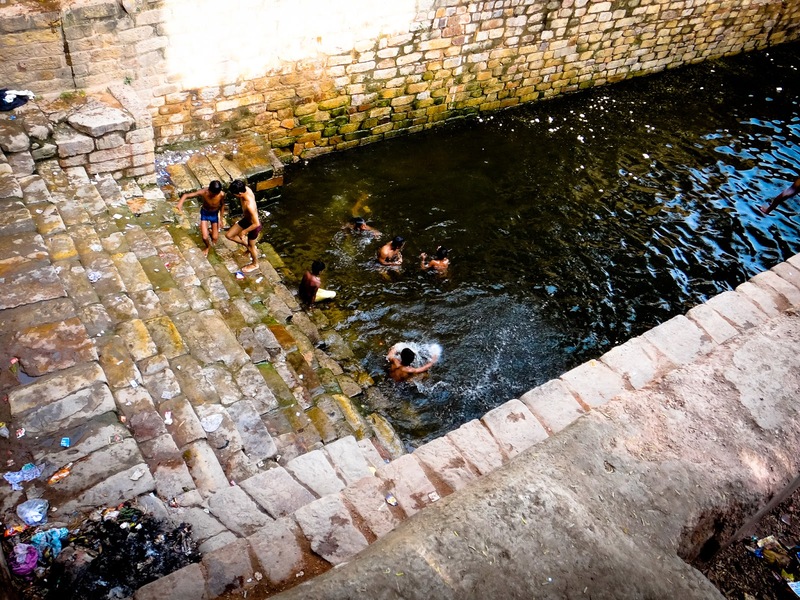 To swim in a stepwell? Other than the one at Nizamuddin, I didn't know there were any still in use in Delhi. Most don't have enough water and are full of trash (not that this water was clean). There were even a few boys brave enough to use the old-style diving pillars. Maybe I should say "reckless enough", because beneath that green, trashy water is a set of stone steps, strong enough to break bones. 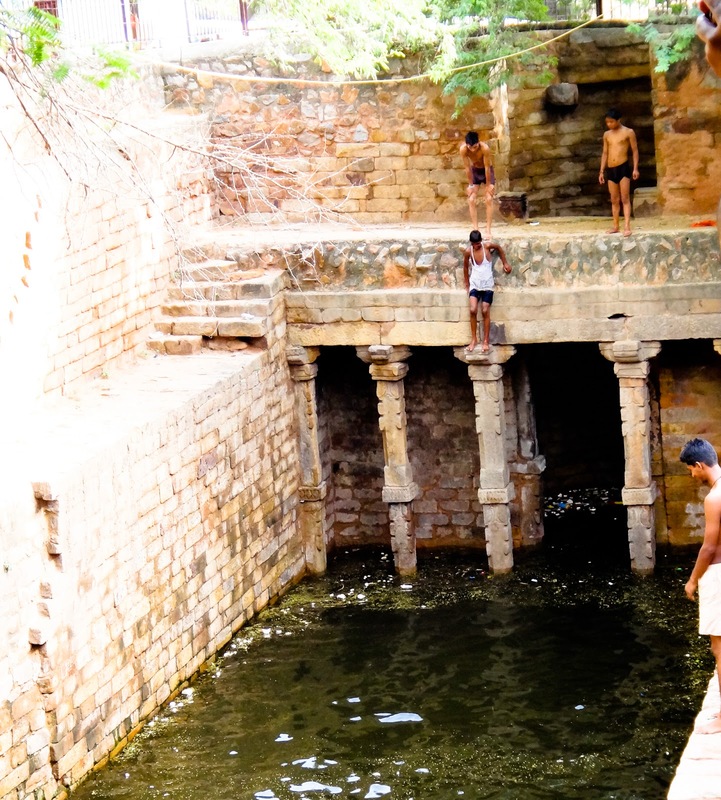 Still in the 105 degrees it was out there, it's gotta be nice to know the stepwell makes a good place to swim.